” I mean the initiating feature or condition that eventually led to the failure. Too often people confuse the tire’s ending condition with the initiating or “Root Cause” reason for the tire to end up in the condition they are observing.
. This is best described by the failure of the tire sidewall due to excessive flexing. 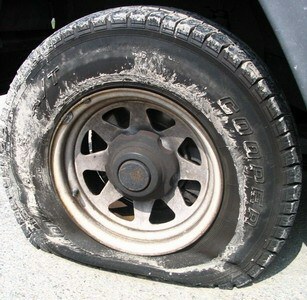 The flexing is the result of operation when the tire is significantly under-inflated.